February 2, 2001 Big happenings with Ms. Cherokee as February descends upon us. To prepare for bikini season, she’s had a sort of liposuction with the removal of her stern. 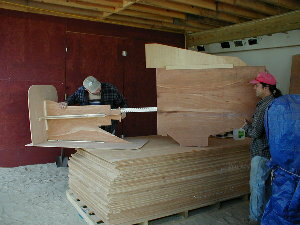 Tom and Leonard, with the help of a chainsaw and the finer “Sawzall” tool, cut out the transom. This leaves the vessel much lighter and open for engine room repairs and vessel length extension – Tom and Leonard are planning to extend the sides and make Cherokee a full five inches longer. This facilitates the placement and performance of the jet drives. 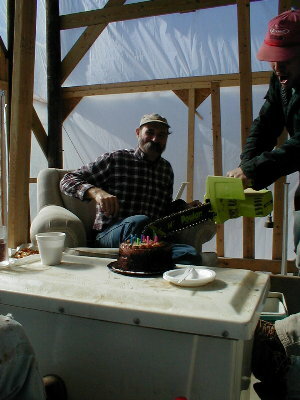 Not only was the removal of the transom cause for celebration, so was “Wild Bill’s” birthday. He was surprised and embarrassed by a lunchtime festive moment. We let him have his cake and eat it too. Jeff Heyland completed his window restoration. 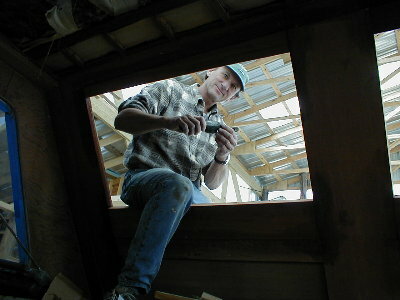 He raised the galley windows five and one half inches so that boat owner Tom Darden, taller than the average boat builder, doesn’t have an obstructed view. 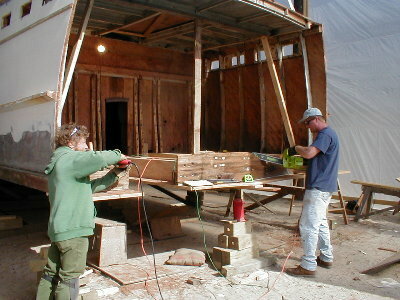 The raised windows will also make room for new mahogany cabinets. 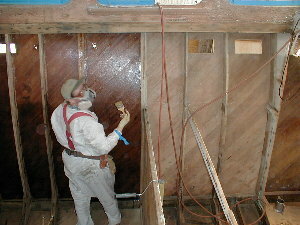 Robbin, with the help of Bill Davis, is braving fumes by continuing to coat the interior with epoxy resin. 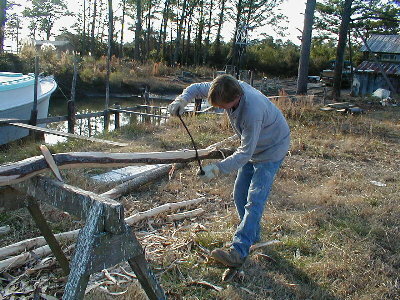 Meanwhile, John is sistering the frames and deck beams in the master state room. 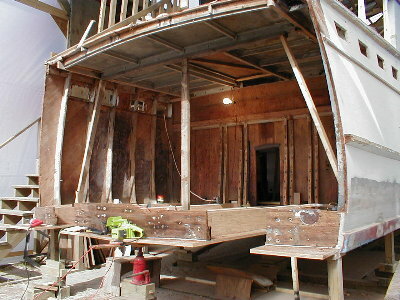 He noted that the original configuration of the beams is one of uneven spacing, possibly because of the port light layout. 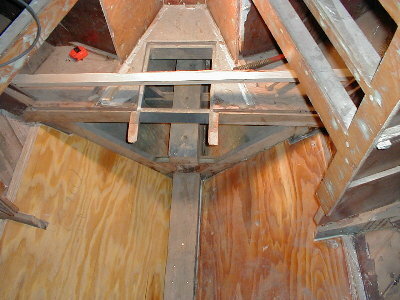 The right angle connection of the stringers to the sheer clamp is secured by bronze brackets. 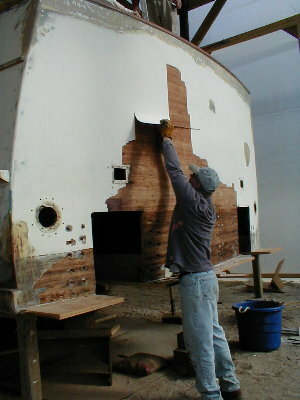 Bill Brown is working in the bilge below the V-berth for bow-thruster placement. He is reinforcing and prepping the hull for thruster tube installation. The jade-colored transluscent tube, which will be hidden below the decking, holds the push/pull prop arrangement. The bow-thruster mechanism is an important feature for vessels with water jets as it allows for low-speed turning and maneuverability for docking purposes.